Jhelum is well known as city of soldiers or land of martyrs and warriors. Jhelum is a district of Punjab. Sohawa, Dina, Pind Dadan Khan and Jhelum are four tehsils of Jhelum district. Jhelum is also discussed in Mahabharata (Hindu Myth). The 16th-century Grand Trunk Road passes through the city. Jhelum city is near the site of the famous Battle of the Hydaspes between the armies of Alexander the Great and Raja Porus. 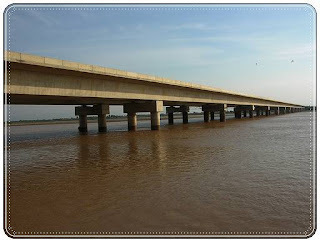 Nearby Important and Famous Cities and Places are Gujrat, Mirpur (Azad Kashmir), Rawalpindi, Chakwal (Present district Chakwal was a tehsil of Jhelum until 1984). Jhelum is the part of Rawalpindi division since British era. Jhelum was the name of the favorite horse of Alexander the Great, which was died in battle against Raja Porus. In Greece “Jal” means water and “Hum” means cold. Military College Sarai Alamgir is also known as Military College Jhelum. Rohtas Fort is a stronghold fort built by the great Afghan king Sher Shah Suri. 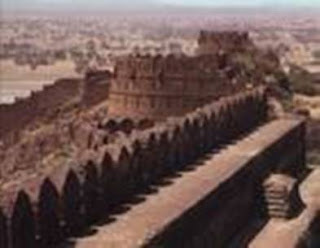 This fort is about 4 km in circumference and the first example of the successful amalgamation of Pukhtun and Hindu architecture in the sub-continent. Mangla Dam is the 12th largest dam of the world, located on Jhelum river 30 km away from Jhelum city. Alexander the Great Complex was built with the grant of Greece Government. CMH Masjid Jhelum, Zamir Jaffri Cricket Stadium, Altaf Park and Lehri Nature Park are famous and worth seeing places in Jhelum. Tulip River View Hotel and Restaurant Jhelum is very good hotel situated on the banks of river Jhelum on main GT Road. FG Intermediat College Jhelum Cantt. Govt. College. G.T. Road, Jhelum. Govt. College for Women, Jhelum. Govt. College of Commerce, Bilal Town, Jhelum. M.A. Jinnah College of Commerce & Computer Science, Jhelum. Fauji Foundation Model School & College,Jhelum Cantt. Gujjar, Janjua, Jutt, Awan, Gakhar, Kashmiri, Khokhar, Qureshi, Mughal, Syed, Shaikh and Rajput are living in Jhelum in a harmony. Ch Abid Ashrif Jotana (Tehsil Nazam)Pind Dadan khan.